A pipe just burst at your place – seems like a common happening in most households, doesn’t it? Well this might be a common happening but can potentially aggravate into water damage which can engulf the entire property, if left unchecked. The wise thing to do thereby is to go in and not leave the job to a plumbing company, who would just address the leaking pipe while giving no regard to the collateral damage which the gushing and seeping water would have caused. Rather, call in a water damage restoration expert, who can effectively handle the leaked water, while correcting the burst pipe for you – someone as able as us at Key Biscayne Restoration Expert. It’s been over two decades of operations for us in Key Biscayne, FL area and our excellent service and professional approach has helped us form a formidable reputation amongst our customers. This is why whenever there is a water attack, be it due to natural disasters or even a faulty plumbing, it’s the number 786-310-0105 which gets called upon in the very first instance! “It’s only a small leak, why bother?” A few days pass and yet another slimy patch appears in the wall. Choose to ignore this and you have just set in a chain of events which over reasonable time can lead to significant deterioration in your property. Before you know, you can smell dampness and a weird stale stench in your property, and you don’t know where this is coming from. You can be absolutely sure that overlooked water damage has caused mold to form. 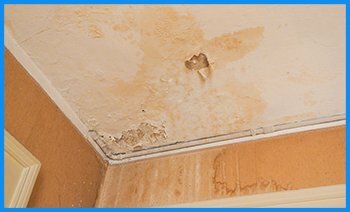 Do not fall prey to such a fate and correct water damage in its very first instance – have Key Biscayne Restoration Expert and its team of expert water damage remediation experts come in and bail you out of this. No idea where the water is coming from? A leaky tap, a dripping roof or a faulty plumbing line are all potential causes of water damage, but unfortunately are the most obvious ones and not the only ones. 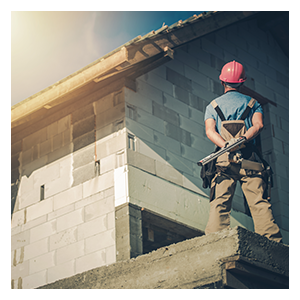 Water damage can stem from even a rainstorm, which left certain patches of your house’s roof damp, and would have proliferated over time. This is why we employ technology and not merely visual cues to detect water damage and are effective in zeroing in on all the sources and affected areas of water damage. Surface drying isn’t enough. What our professionals do? It would seem as if controlling the very point of the water leak and clearing out the water which would have stagnated is all that is required to be done. But seldom do people realize that water retains its property of seeping through cracks and dents and there are the chances that it seeps into the structure of your property, compromising it in the end. A dried surface post a water attack may look like the end of the problem, but there may be a damp patch hiding underneath it, breeding mold and assisting further leakages and deterioration. This is why we follow a more cautious approach than that followed by all other water leak remediation companies in Key Biscayne, FL area, and go on to detect and remove any moisture which persists underneath the dried surface. Is it a burst pipe or a flood which has brought about water damage? We can handle this situation for you effectively, so all you need to do is to give us a call on 786-310-0105.